There is always a little excitement when a new Twist Collective comes out. A collection of trendy new patterns comes out, along with a few great articles, a knitters delight. 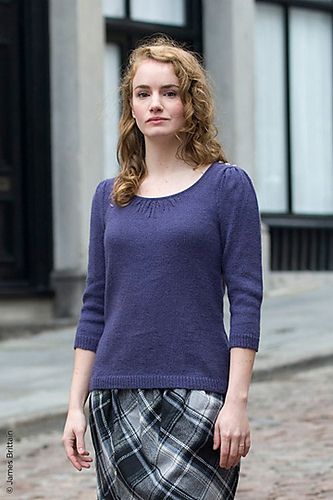 It was especially exciting this time around because Ann’s new pattern Eira was featured in it! Ann has recently started her own design company, Caribou Knits and she’s already moving full steam ahead with a spot in Twist! 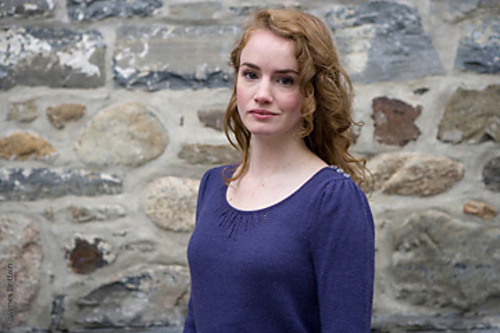 Eira is a lovely sock weight pullover with icicle eyelet details at the neck and cuffs. I love the pretty button detail on the shoulder, it gives the sweater a nice vintage-inspired feel. I’m also a fan of the 3/4 length sleeve, as someone who is constantly pushing up her full length sleeves. Congratulations Ann! This entry was posted on Sunday, November 20th, 2011 at 12:41 am	and is filed under Uncategorized. You can follow any responses to this entry through the RSS 2.0 feed. Both comments and pings are currently closed.